FIFTEEN thousand Australian bass fingerlings were released into Borumba Dam last Sunday. The fingerlings will be delivered to the boat ramp and dispersed from boats into the dam by the Lake Borumba Fishstocking Association. These fingerlings are the first delivery of 100,000 fish that have been ordered to be released this financial year. Australian Native Fish Enterprises supplies the LBFSA and they will be delivering the fingerlings this weekend. 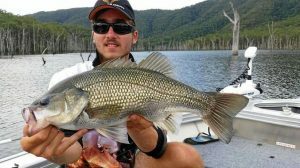 Australian Native Fish Enterprises supplies Australian bass, golden perch and silver perch fingerlings. Hinternoosa Hatchery will be supplying endangered Mary River Cod fingerlings when they are ready.